Money makes the world go round, even the Bible can't but agree less as it says, 'Money answereth all things'. It's good to be rich and famous and live the good life that money can afford, this introduction best fits the CEO of Five Star Group, Emeka Okonkwo was popularly known as E-money. This is a man who can best be described as someone who has taste for high-end and things that are highly exclusive, what you won't find others owning... Who says money no fit man pickin. 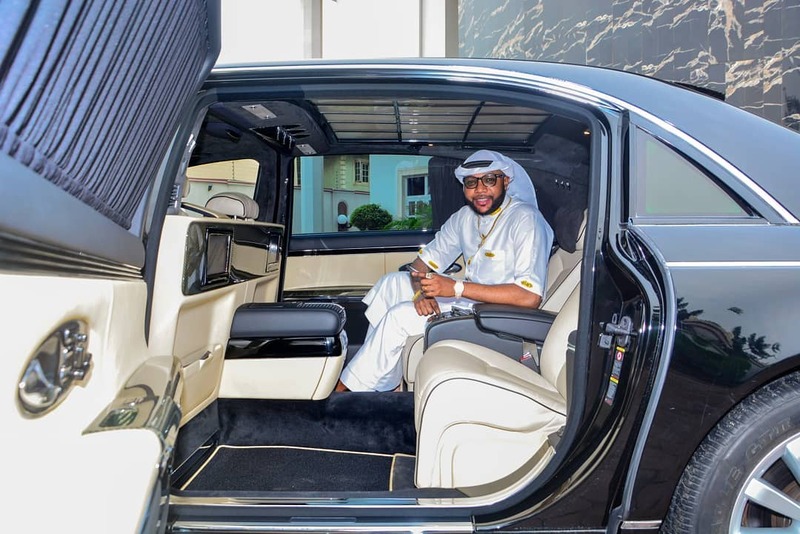 E-Money has been trending online for close to a week and this is due to his latest beast he just took delivery of, The Maybach 62S, a vehicle known to be part of the most expensive cars in the world. When you talking of class and luxury, this car definitely says it all. AutoReportNG decided to do a reportage and a close review of this car and what makes it a beast. It may interest you to note that only a few has this car in Nigeria, you can barely count 20 of them. According to reports, A Maybach 62S reportedly cost about $492,000 (N178,000,000).